The Palacio de Cristal. Situated very close to a small pond in the park of Retiro, it was constructed in 1887 on demand of the Ministry of the regional development by architect Ricardo Velázquez Bosco. 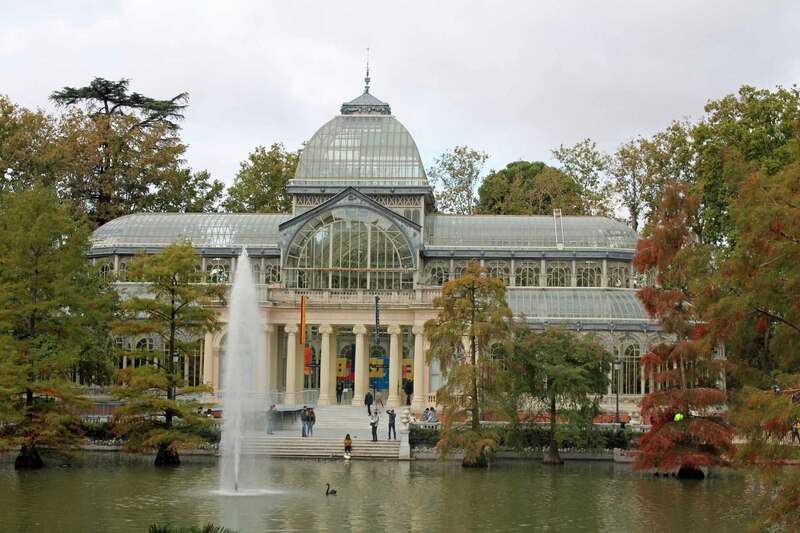 It was about a heated greenhouse that had to welcome a large sample of exotic plants brought for the General exhibition of Philippines, that took place that year in Madrid.